The Statement of Purpose or the Personal Statement is an essay that you are required to submit while seeking admission in a university for any level of study. Usually spanning 500 to 1000 words, this all-encompassing document outlines your academic and professional achievements, your aspirations as well as the role of the university in helping you achieve them. Additionally, it is one of the building blocks to a great application. 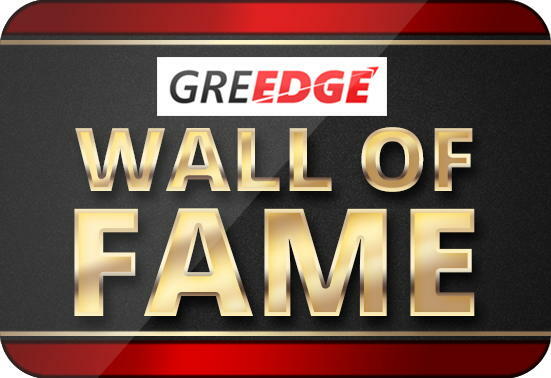 Did you know that GREedge alumnus, Abhas Agarwal secured an admit at Colorado School of Mines (ranked #3) for MS in Petroleum Engineering with a 309 in GRE and a 6.4 GPA, because of a persuasive SOP? What does the SOP entail? A good SOP covers four major aspects, namely: who you are, what you have done so far, what you want to do, i.e., your academic as well as professional aspirations and how the university can help you. Each of these four aspects must be weaved together cohesively and clearly in order to provide an idea to the admissions officer of what you are like as a student and a person. This is the reason why the SOP can either make or break your chances at an acceptance letter. How important is an SOP? In short, very important indeed! The SOP is absolutely paramount to a successful application, mainly because it sets you apart from other students with similar academic qualifications and professional aspirations. It is your one chance to prove your worth and secure your admissions; so the better your SOP, the more your chances of your application being successful. A winning SOP also opens the doors to excellent scholarship and teaching/research assistantship opportunities. Additionally, for students with a weak academic profile, a good SOP can compensate for what they lack and will serve to highlight their future ambitions and goals. So whether you are an average student who is concerned about your MS aspirations, or an achiever who wants to obtain the best possible scholarships, a stellar SOP will be the ticket to your dream. Now that we have established what the SOP is and how it impacts your applications, let us look at the ten most common mistakes made by students while drafting their SOP, and how you can avoid them. Often, students tend to underestimate the time and effort it takes to write the SOP, and think they can spend a few hours copy-pasting from sample SOPs from the internet. We strongly recommend that you start brainstorming on your SOP at least a month before you have to send your applications. Write as many rough drafts as you need with improvements on each draft. Whatever you do, remember that the SOP is a product of much deliberation and planning, and cannot be left for the eleventh hour. View the 20-Day SOP Timeline Here! Day 1: Identify your motivation for higher studies. Why US or any country that you are planning to pursue? Is it inline with your career goals? Why is this university your best option? Is it worth investing a lot of money and time? Day 2 – 4: Identify your strengths and weaknesses. Are there any incidents that demonstrate my strengths? Have I achieved something significant that will help me get this admit? Are there any weaknesses that I should address? Are there any challenges in life which I have overcome/ working on it? Day 5: Make an outline of your SOP. GREedge Admission Tip: Do the 3C Check – Concise, Coherent & Compelling! The first impression makes a lasting impression. Since the introduction is the first thing that anyone ever reads, making it impactful will impress the reader and hold his attention. Similarly, to ensure that the admissions committee reads through your entire 1000-word essay, start with a powerful line like a quote that summarizes your academic experience or one that reflects your mindset, thinking, or aspirations. Similarly, how you end your SOP also matters because that is the very last thing a reader takes away from your essay. Wrap it up by mentioning what your expectations from the university are, and how you hope to contribute to the university. Your conclusion must show your knowledge of the university and the program you are applying for. For example, tap into reality! In this rapid change of globalization one must be giving a serious thought to reason why so fast? I think one of the dominant factors that is tending to cause a considerable change in the world is unquestionably the field of civil engineering, where the brick works are in a race to touch the sky. We travel places and the first thing that portrays the social status and gives us the idea of a City is the infrastructure especially due to innovation in field of structures. Or, if you want to write something shorter, use a quote! Use professional language. Ensure that your tone is polite, formal, and respectful. Keep in mind that your grammar and vocabulary are good. Your essay will be read by a panel of distinguished academics. Avoid using slang, abbreviations, and informal vocabulary. Your sentences should be concise and clear. Additionally, use only words and phrases you are comfortable and familiar with. Do not try to embellish your writing with lofty words. Talking about backlogs and low GPA is all about circumstances. It is a subjective question and it varies from profile to profile. A general rule of thumb to follow is that you must maintain positivity and highlight your learning from the experience. Therefore, mention your backlogs or low GPA only if you had extraordinary circumstances such as ill-health, genuine lack of interest etc.Do not try to justify or make excuses for your poor academic performance; show it instead as the start of something better. Positivity is a must, for it speaks volumes about you. GREedge Admission Tip: Be sure to consult an admission expert before deciding to include this information in your SOP because this could potentially be a deciding factor between an admit and a reject. It takes years of experience in dealing with universities to clearly understand where to draw the line. Usually, the university will specify the word limit you must follow; if it is not mentioned on the website, it is always a good idea to try and contact the admissions office via email and ask them about it. Otherwise, try to limit it to 500 to 1000 words. A long SOP that solely focuses on your achievements will not hold the attention of the admissions committee who are reviewing close to 10,000 applications every season. Your SOP is not your autobiography! The sole purpose of an SOP is to explain just enough about you and what you have done so that you can secure an admit. Don’t digress from the point and divulge personal information about your family background, financial circumstances, personal anecdotes, etc., unless it is actually pertinent to the purpose of studying Master’s abroad. This covers two important aspects of your SOP: content and font. Content: While it is important to talk about your achievements, it is even more important not to be boastful. You must present your learning while you state your experience/educational qualification. This will show that you are curious, learning-oriented, and humble. Font: Using bold, italics, underlines, highlights, bright colours, and fancy fonts is a strict no-no. Use a simple font and basic formatting, and do not use any color other than black. Your SOP should look clean, minimalistic, and clutter-free. GREedge Admission Tip:To ensure absolute readability, use fonts like Arial, Verdana, or Times New Roman in a standard size like 12. You can be creative and quirky without being immature. Always remember, less is more when it comes to your SOP. The university and the professors reviewing your applications are aware that the quality of education and infrastructure they provide; so, do not waste your words on flattering them. Your SOP is all about you and your achievements and aspirations, and is not a mouthpiece for advertising the university. However, be sure to include your expectations from the university by stating specifics such as current areas of research or distinguished professors under whom you would like to work. This shows that you are logical, practical, and have conducted thorough research before making an informed decision. It will also come in handy during VISA interviews when you are asked about why you chose this particular university among all other admits. Honesty and authenticity are the hallmarks of a good SOP, and will always be appreciated. Avoid making up or exaggerating facts, and write it like it is. Remember, there is always a chance that the admissions panel will contact your referee and ask for verification! Remain truthful and honest at all times: being genuine and candid are qualities that will never go out of fashion. GREedge Admission Tip:If you have a genuine story that sparked your interest in a particular field, by all means, talk about it briefly. But never falsify a story to ensure your SOP stands out from the crowd. Once you are done with your SOP and have edited it to your satisfaction, give it to your friend, family member, or an expert to go through it once. A third person will always be able to spot errors better than you. Additionally, ask them for their opinions and feedback and try to incorporate the, into your final draft. These final tweaks and edits are as important as the essay itself. Never make the blunder of sending your SOP without thoroughly proofreading every single word of it. We hope this article will help you craft the perfect SOP! Comment below and ask us any doubt you have regarding admissions and we’ll get back to you ASAP! Respected sir, l complete graduate in math filed after come to law department because I interest in work social field like work NGO and other social work so come to this field so i request to you please provide internship offer .sir one region I share to you my english not frankly speek so one week point but i improve slowly . all about my information belong to me. Hello sir, i want to pursue machine learning and AI and i have a work ex in web development will it be considered? I had a research internship at college. But was not able to publish a paper. How can I put across all the work I did for 1.5 years as a positive and not negative point? As long as you had a research internship and a letter to show for it, you don’t have to worry about it coming across as a negative point. You can write about what you learnt during your time in the internship and how that helped shape your desire to do a Master’s now. You can share your learnings and achievements from that internship. And if you have time, do try and publish a paper before you get started on your SOP. That would help you feel more confident, personally. I have done my bachelors in civil. I want to do masters in computer science. What should i write in sop. I have many projects and i have taken many courses on edx and coursera. Will that help? Changing streams can be quite tricky unless you have a valid reason for making the switch. If you have relevant work experience, then it’s easier to convince the admissions committee. If not, then your SOP must be extremely persuasive to ensure you get an admit. Since, Master’s in CS is also a competitive field, I would advise you take enough time to think about your SOP & draft it. Abhinav here, want admit in tier 1 universities in materials science program; have a cgpa of 8.6 and have few good internships including one abroad research experience. Are u looking for a Ph.D. or M.S in material science? can u please share the list you just mentioned. please! Respected Sir, I am currently pursuing my masters in Chemistry. Can you please suggest something for the introduction of an sop for a PhD in chemistry!? Can I state my interests for Ph.D in my SOP while I am applying for Masters? My ultimate goal is to get a Ph.D, but I have no research experience as I am an Undergrad yet. My CGPA is 8.01. I have finished my masters and planning for PhD in multi body dynamics stream and done few projects but couldn’t publish a paper. I am looking for full funding admit will strong SOP help me to get an admit in better university with full funding. If I have completed an online course which focuses on one field on the subject I want to apply, should I put it on the SOP? And if I have interned in a good place in my summer vacation but I haven’t worked on a ‘project’ in that internship. Should I put that too? I have completed my tech in biotechnology and have two papers in biochemistry but I want to do masters in immunology … I have two internships in immunology from reputed organisation but no paper… how to write this in sop? what is the word limit for sop? should w use some inspirational quotes? I don’t have decent grades but I’ve done some research work at my college. How can I put this to elevate the research work done in SOP. I have completed my b.tech in biotechnology a but I want to do masters in immunology … I have two internships in immunology from reputed organisation but no paper… how to write this in sop? what is the word limit for sop? should we use some inspirational quotes? What would be your top three university recommendations for (Machine Learning + Business analytics). Want to get more perspective on this. my goal is to get a Phd aboard . I’m pursuing MSC MATHS from IIT Madras. WHAT CAN BE STATED IN SOP ??? Hello sir, My GRE Score is 309, TOEFL is 91, Academics 71%, i Want to pursue Electronics/Electrical in US with Maximum Scholarship and i also Have a Research assistanceship with my professor mentioned in LOR. Which Universities will you recommend? How should i craft my SoP? sir..! I am an architecture student…! how to pursue for it for masters..! Thank you for your patience, sir. PS – I have many projects and i have taken many courses on edx and coursera. Will that help? Is there a plagiarism check for SOP’s . If not can I make one from an SOP my senior got admit with the same interests in a different university I am targeting? can i also write about my design process in an architecture sop?is there any specific university that you would recommend for masters in architecture as there are very few resources online ? Q: MS VLSI.. can u suggest about ASU,TAMU,NCSU chances from experience ? Yes definitely! Having relevant work experience is a big plus while applying for Master’s, particularly if you’re switching streams. You can talk about how the work experience helped you, what you learnt from it as well as what you achieved. You can further elaborate by adding what you intend to do by studying Masters’s and how this degree can help you achieve your long term goals. If you are looking for some expert guidance regarding your SOP, you just schedule a call with us and our student counselors will get in touch with you! I have done bachelors in dentistry, and I have a lot of achievements to list in this field, but I want to shift to masters in pharmaceutical science. I’m more interested in researching about drugs. I have conducted and published one research paper. Can you please help me out? Also if I want to do Phd in pharmaceutical science, should I apply for it now itself? Switching streams can be tricky and nerve-wracking. Don’t worry, you can crack a good admit by selecting the right universities for your profile and creating a compelling SOP! Good news is, we can help with both! If you want to understand more about our admission counseling services, do schedule a call with us and we’ll get back to you at your preferred time! I am working on a mini project with my friend which is not a part of the college curriculum. So there would not be any certificate for it. Can I mention it in my SoP? i am b-tech mechanical graduate student from 2017 and i wanted to apply for ms in industrial engineering in fall 2018. i got a job offer which is not relevant to my field of under graduation and im still waiting for the call letter should i have to mention what i’ve been doing after my undergrad or can i ignore it in my sop . i have done two internships which are related to my core subject. Is letter of intent and sop same? Yes. A letter of intent & a statement of purpose is the same. Both documents help you portray your motivation to pursue a particular, what you intend to accomplish with it and why you’re the best candidate for this admit. Would it be better to have a job experience before applying for ms or should be pursue it directly after be? That would depend on which course you’re applying for or which university you’re applying to. For example, for courses like MIS or Data Science, having some work experience would definitely improve your admission chances at top universities. However, for most engineering courses, work experience is not mandatory. It is just one way to showcase your practical experience in the field. You can still apply and get top university admits if you have relevant research experience through projects/internships. I am pursuing b.tech in ECE. And I have decided to do masters in Finance. I am looking for colleges in Australia or New Zealand, but in New Zealand gre marks are not considered. What should I do? Very helpful article, thank you very much for it, dear author. I should admit that the process of writing the sop proofreading is not easy at all, but it is quite difficult to find some professional help or professional information about it in the internet. And that is why I have found this your article very useful and interesting for me. And also I would like to add that I hope that we will meet much more of the articles like this one in the internet, because they are really necessary for the readers. So please do not stop to write them!